The Last Decadent casts an aggressive eye on the darkness which engulfs Paris, the refuge of all scorned artists, as the glories of La Belle Époque disintegrate into plagues of liberalism, neuroticism, and anarchy. Painter and photographer, husband and lover, creator and destroyer—Alexandre Guilbert’s need for identity without personality inspires the outrage of proper society, and he cannot survive his own freedom. But will he leave a legacy, despite all efforts to the contrary? More information about the book and its characters is available at The Last Decadent official blog. Harry F. Atwood was, among many things, a prize-winning collegiate orator and a highly praised professional speaker. This book reproduces nine of his speeches from the years 1905 to 1921 which address many issues that are still with us today. We cannot hear the passion of his delivery, or feel the magnetism of his personality, but reading his books and speeches gives us a sense of the man and his ideas, and reminds us that often the best solution to any problem is found through education and information. This book is a great companion to Atwood’s other books Safeguarding American Ideals and Keep God in American History, both available from Quilldrivers. Writing is hard, isn't it? Create the perfect hook. Make your first page compelling. Craft an amazing 25 word pitch. Knock out a query that will blow an agent's mind. On and on it goes. And sometimes, well, you just wish someone would help. 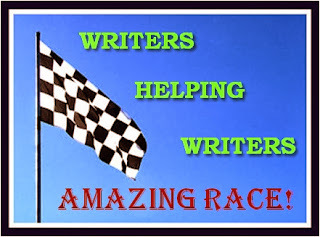 I will be joining an army of Amazing Racers who will be helping with your submissions. How many people can we help in a week? Let's find out! Maybe I will pick your submission to help with! Each day this week, there's an AMAZING giveaway, too. 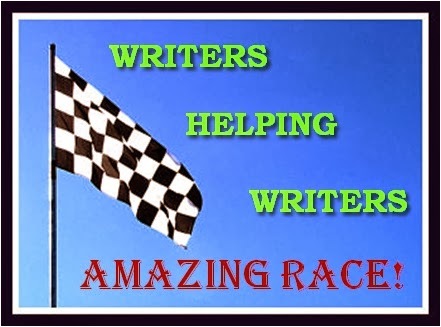 So, beginning Monday, stop in at Angela & Becca's new Writers Helping Writers website and find out how to take advantage of this unique, pay-it-forward event for writers. I'll see you there! As always, if you need more complete or specific editing services, visit Driving the Quill now or any time. How far can a husband and wife stray before their marriage breaks? Tim and Michele are trying to cope with the death of their child. Michele indulges a fun-loving nature to forget her pain; Tim dwells on memories to keep his grief alive. Her behavior is mistaken for indifference, his for obsession. A demanding job and friendly coworker leads to Michele’s physical distance; a former love leads to Tim’s emotional distance. Soon, issues with everything from trust to finances are cropping up. Every attempt Tim and Michele make to mend their unraveling marriage somehow fails, and the rift between them deepens. Though they both want to salvage what was once a fantastic relationship, is a permanent break inevitable? Be sure to check out all the other fiction and non-fiction books available from Quilldrivers. In this book, originally published in 1921, Harry Atwood described the twelve keys to American foundational and functional exceptionalism, exploring the reasons behind each ideal; identifying the threats against each and the consequences of forsaking each; and setting forth a prescription for achieving each. His American ideals were the time-tested truths upon which the nation had been built, had prospered, and must stand if it would survive. This new edition reveals for the modern reader the full historical context of the original, illustrating how the issues of the past relate to the issues of today, and how the solutions remain the same. Atwood's public speeches are also referenced to expand and detail the points made in his book. Though this book is of an historical, rather than political, nature, it is interesting, if not instructive, to note how events of recent years so closely mirror those of 100 years ago. Because of those similarities, the book Atwood wrote in 1921 still has profound relevance today. There are plausible answers to every mystery, but reality answers to no one. In an incredible bookstore called The Beggars of Azure, a reader can find every book ever written -- and a list of books that have never been written. But in The Beggars of Azure, what you find is less important than what finds you. Today I thought I would rhapsodize about my delayed steps into the twenty-first century. I now own a Kindle. I decided to buy one because I had some extra money. I reasoned I could use one because I enjoy reading classics, and many of them are available digitally at little or no cost. I also liked the idea of not being stuck reading lengthy documents at my desktop computer. I waited about four weeks, while I reread Dracula in paperback form. The time also allowed for any buyer's fever to break, and my reasoning to be confirmed. Then I finally took the plunge yesterday. I purchased the basic version. It was simple to set up. Just plugged it in to my computer, and after about an hour it was fully charged. Part of that time I spent reading the instructions on the device itself. Then, by simply dragging and dropping the files, I moved over the digital books I had already stored on my computer to my Kindle. I like the size, small and lightweight, easy to hold and read in bed. The text display is smooth and easy to read at all angles, and didn't strain my eyes. Navigation between and within books is simple, and the page buttons on both edges of the device are convenient. I started out by reading from a classic Victorian novel. After a while I realized I could change the font size. Though the larger font renders smaller any visual similarities to a real paperback, it makes easier reading for the classic reader, and so far, aside from the portability, that is my favorite feature. When I switched to poetry, however, the common look of the poetic stanzas is almost completely lost. The ability to highlight, bookmark, or notate text is nice for research, and eliminates the need to keep handy paper and pencil or sticky flags. Also the device automatically remembers where one stopped reading, and will return to the point. When not in use for a certain period of time, the device will save power by going to sleep, as it did after I fell asleep reading--which, by the way, is one of life's greatest pleasures. There are numerous other features available with registration and wi-fi, which I have not yet tried. Some seem convenient, like an automatic backup of one's digital library. Some seem pointless, like being able to see what other readers have highlighted in a particular book. What I don't think I realized was possible, and seems like a good idea, is the availability of feed content, and the rendering of other document files such as TXT and PDF. The real question seems to be: how does it compare to a book? One thing I noted right away was the little progress bar at the bottom of the screen wasn't nearly as satisfying as seeing in actual pages how far along I was in a particular book. I will miss my bookdart peeking up from the top edge of the book, showing me where I am in the story. The device is easier to handle and manipulate, both in bed and at the table, than a print book. Images from the book I sampled were lackluster, but my wants and needs are primarily textual. There also is a search feature, which for this reader is the biggest advantage of a digital text over a print text. This morning I saw a new book release for sale on a store shelf. I know that I will always have a particular fondness for the object itself, beyond just the text. Even a mass-market paperback has a certain clean tactile appeal. Especially in a more lavishly produced book, one can feel the paper and even the words themselves, smell the materials, and hear the crack of the boards opening. And that was when I realized the main difference for me between the digital book and the print book: reading a print book for the first time, turning to the first page, there is a unique feeling of anticipation and expectation I didn't have with the Kindle, of opening the cover to gain access and insight to another new world. The Society of the Drivers of the Quill was established in 1751 in Angstadt for the purposes of creating and promoting quality literature. Today, Quilldrivers offers books for purchase, discussions of the literary life, and editorial services for the independent author. Visit Driving the Quill for more information about how we can help with your book. Subscribe to our mailing list to be the first to know when new Quilldrivers books are published. All content © 1998-2013 Quilldrivers.